Hero MotoCorp hit a new high of Rs 3,849, up 3% on BSE, after the company reported 8.7% growth in sales at 633,884 units in May. The country's largest two-wheeler maker had sold 583,117 units in May 2016. In the month of April, the company recorded 3.5% decline in sales at 591,306 units of two-wheelers. “Riding on sustained popular demand for its range of motorcycle and scooters, the world’s largest two-wheeler manufacturer reported yet another month of six-lakh plus unit sales,” Hero MotoCorp said in a statement. The company said it has lined up a slew of new launches across segments and is confident of maintaining growth trajectory in the coming months. With the arrival of monsoon at some parts of the country and forecast of normal rains this year, the industry is expecting a boost in demand and consumption in the rural markets, it added. 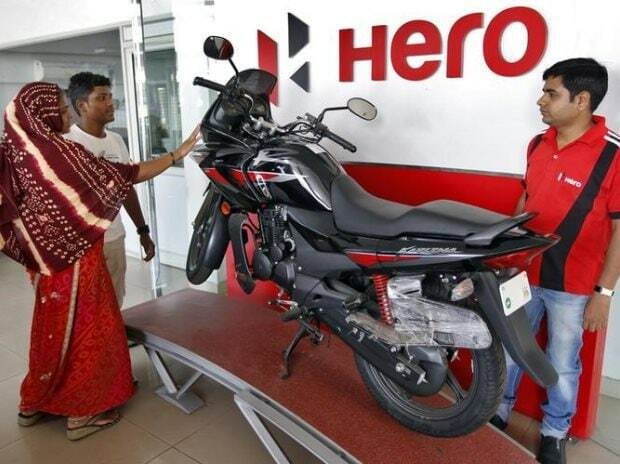 Hero MotoCorp also commenced commercial production in the manufacturing facility at its subsidiary, HMCL Niloy Bangladesh, has an installed capacity of 150,000 vehicles per annum.